Set out on a classic safari to witness the famous annual migration of hundreds of thousands of wildebeest and zebra as they make their way from Tanzania to lands of Kenya's Masai Mara. Discover the future of safaris in Kenya through sustainable, private conservancies. See the Great Rift Valley and Lake Victoria. Learn about the traditional cultures of the Maasai and Samburu. Kenya richly rewards travelers. Amboseli Wildlife Conservancies: Amboseli’s fragile ecosystem supports a wide range of mammals, including wildebeest, buffalo, impala, Thompson’s gazelle, lion, cheetah, elephants and rare black rhino as well as more than 420 species of birds. It is also home of traditional Maasai people. Private wildlife conservancies protect the land and encourage wildlife conservation as an alternative to subsistence farming. Migrating species from Amboseli that were previously killed or driven away from farmlands are now encouraged to make the conservancy their home. Recent years have witnessed a significant increase in wildlife numbers with elephants returning to make the land their own after a 20 year absence. African Wildlife Foundation helps identify critical wildlife corridors such as Kitenden Corridor, which links the Kilimanjaro Forest Reserve in Tanzania to Amboseli National Park. Chyulu Hills: Chyulu Hills is a collection of ancient volcanic cones and craters with breathtaking views that embrace Mt. Kilimanjaro. Private conservancies insure excellent game viewing of buffalo, bushbuck, eland, elephant, leopard, warthog, wildebeest, zebra and, of course, the big cats. Game drives, walking safaris, horseback riding, hiking in the mountains and visits to traditional Maasai villages make for a classic safari experience. Chyulu Hills has achieved the lowest rates for elephant poaching in all of Africa through anti-poaching patrols and education. Great Rift Valley & Lake Victoria: The valley is bordered by escarpments both east and west. The floor is broken by volcanoes and encompasses a series of lakes. This large trough in Kenya is part of the Gregory Rift, the eastern branch of the East African Rift, which starts in Tanzania to the south and continues northward into Ethiopia. Lake Naivasha, at over 1,829 meters/6,000 feet, is the highest lake in the Rift Valley and one of its most beautiful. Fringed by papyrus, this is prime bird watching territory with more than 400 species, including 13 globally threatened species. Lake Nakuru National Park is best known for thousands of flamingos nesting along the shores Lake Nakuru. Lake Nakuru is one of the Rift Valley soda lakes, 1,754 meters/5,755 feet above sea level. Lake Victoria has a shoreline of some 4,828 kilometers/3,000 miles and contains more than 3,000 islands, many inhabited. Laikipia Plateau: This remote part of Kenya was made famous by Kuki Gallman’s book, I Dreamed of Africa. Laikipia’s safari lodges are intimate, catering to a small number of guests. In this region, it is possible to do game walks in the company of Samburu Maasai guides, whose knowledge of local flora, fauna, culture and history is unmatched. Horseback riding on the plains of Africa with a herd of zebra, graceful giraffes or a herd of elephants is quite unlike any other riding experience in the world. This is one of the last refuges for endangered black rhino and has Kenya’s largest elephant population outside of its parks. Lewa Wildlife Conservancy, Mt. Kenya & Northern Kenya Conservancies: Lewa Wildlife Conservancy’s mission is not only to protect wildlife, but to act as a catalyst for conservation across northern Kenya. By supporting development in the communities outside conservancy’s boundaries, Lewa has become the leading role model for sustainable wildlife conservation throughout East Africa. From 1970 to the early 1980s, the numbers and range of black rhino in Africa declined drastically. In Kenya alone, the population dropped from 20,000 to less than 300 due to illegal killing for rhino horn. Some 620 black rhino remain in Kenya, with about 75 on the conservancy. Since 2000, Lewa’s black rhino population growth rate has averaged ten percent. Northern Kenya Conservancies are home to elephant, leopard, bushbuck, giant forest hog, buffalo as well as ancient cycads, spectacular butterflies and wild orchids. The semiarid Laikipia is one of the last relatively undiscovered frontiers of wildest Africa. Pastoralist nomads and wildlife still live in harmony and the ecosystems are still intact. Laikipia stretches from the equator near Mt Kenya, to the edge of the Great Rift Valley. It is a malaria-free area with an average altitude of 1,829 meters/6,000 feet. Kikuyu, Turkana, Pokot, Samburu, Maasai, Ndorobo, Jamu and Kalenjin tribes inhabit the area. Lions, leopards and cheetahs stalk the savannah. It’s a haven for elephants and hippos. The conservancy is renowned for wild dogs, an increasingly rare sight outside the region. Imposing Mt. Kenya is the highest in Kenya and second tallest in Africa. Its highest peak sits at 5,200 meters/17,060 feet and it is encircled by national park. The slopes are dressed in forest, bamboo, scrub, and alpine moorland, with rock, ice and snow at the highest elevations. The park is a UNESCO World Heritage Site and biosphere reserve. One of Kenya’s successful private conservancies, Ol Pejeta Conservancy, works to conserve the highly endangered black rhino, and is the largest black rhino sanctuary in East Africa. It is also home to southern white rhinos and the critically endangered northern white rhinos. As an integral part of the Laikipia / Samburu ecosystem, Ol Pejeta is also home to the big five and boasts a high wildlife density. Loita Hills: Loita Hills are one of Kenya’s last remaining ‘true wilderness’ areas. This is a place to truly enjoy the landscapes and walk with local Maasai people to gain a genuine look into their world. The area offers day and night game drives, bush walks and specialised bird watching. Travelers have the opportunity to sleep under the stars on the Masai Mara and hike deep into Masai country to areas seldom visited. This is where the most traditional Masai culture exists. Remote forest glades, the edge of the Great Rift Valley escarpment, stunning views of Lake Natron and sunrises over distant Kilimanjaro are all on the menu here. Masai Mara Wildlife Conservancies: The Masai Mara Game Reserve is Kenya’s most prized wildlife sanctuary, renowned for the ancient pageantry of the annual wildebeest and zebra migration. Several conservancies have been created around the Masai Mara to help further protect land for wildlife as well as support local communities. In addition to providing revenue from land leased from the local Maasai, conservancies also offer education, medical care and employment opportunities previously unavailable. This is pristine wilderness with open savanna plains, riverine forest, springs, streams, rivers and rolling hills. Intersected by dark green veins of rich acacia woodland, this area is where parts of the movie Out of Africa were filmed. Herds of buffalo, hartebeest, impala and gazelle graze across the savannas. Giraffe and elephant collect along the Mara River and pods of hippos gather in the water below. Here, too, is Kenya’s largest predator population, with lion prides up to 20 strong. Activities include a day trip to Lake Victoria and a breathtaking hot air balloon ride (weather permitting) over the stunning Mara plains. 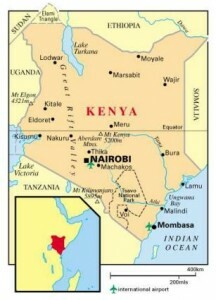 Nairobi: Founded in 1899, Nairobi is one of the most prominent cities in Africa. Much in the city harks back to its storied past such as the home turned-museum of Isak Dinesen (Baroness von Blixen), whose writings left us a picture of Kenya at the turn of the 20th century – a colonial world of romance, daring, struggle and triumph. The Giraffe Centre helps protect the endangered Rothschild giraffe found only in East Africa. David Sheldrick Wildlife Trust is an important center for the care and protection of rescued and orphaned elephants and rhinos. Northern Rangelands Trust: Northern Rangelands Trust is a home-grown institution aimed at addressing local problems and creating long-lasting local solutions. It connects different interest groups with a goal of collectively developing strong community-led institutions as a foundation for investment in community development and wildlife conservation. Collectively, these conservancies are home to approximately 60,000 pastoralists of different ethnic origin, including Samburu, Rendille, Laikipiak Maasai and Meru. The long-term conservation of wildlife in Kenya’s northern rangelands is inextricably linked to the fate of these local communities. The Northern Rangelands Trust encompasses over three million acres. In the Matthews Mountain Range, a 323,748-hectare/800,000-acre private conservancy was established to promote wildlife conservation and socioeconomic development through sustainable utilization of natural resources. Private Conservancies: Private conservancies play a vital role in maintaining habitat for wildlife. Millions of acres are under private ownership. The owners have created important conservation areas. Conservancies have developed facilities and conservation projects along with local communities, who share the revenues generated, which help health, education and enterprise initiatives to alleviate poverty. Each reserve offers its own activities, many of which cannot be done in national parks such as bush walks, night game drives, and horse or camel trekking. Some also have mountain biking and river rafting. The conservancies also encourage guests to meet villagers to learn something of their ancient traditions. Many are adjacent to national parks and reserves such as the Masai Mara Reserve, Samburu, Tsavo, and Amboseli National Parks to maintain vital wildlife habitats, permitting animals to move freely from one area to another. Travelers also benefit as the conservancy camps and lodges allow only limited numbers of visitors at any one time, insuring an experience no longer found in many national parks. Kenya is a year-round destination, with each season offering its own distinctive rewards, but the best weather is usually July to February. The Masai Mara comes into its own between August and October when the migration is in full swing. Usually by late July, the herds have begun the dangerous trek from Tanzania northwards into Kenya. Kenya’s biodiversity shines from March through June and September to October when flowers bloom. September through October is also an excellent time to catch the end of migration when animals are plentiful, but visitors are fewer. Kenya’s peak bird-watching season lasts from October to April, while the whale shark (Earth’s largest fish) season is February and March. The best festival in Kenya is the Mombasa Carnival in November. Every conceivable ethnic and cultural group has a parade float here. This is a spectacular display of Kenyan culture in its entirety with plenty of stalls for shopping and dance performances. Nairobi remains the safari capital of East Africa and portal for most Kenya adventures. Chyulu Hills sits between the Amboseli and Tsavo West National Parks in southeast Kenya. This location is unrivalled for its location and the untouched authenticity of the Mbirikani Group Ranch. Kenya’s less-visited Laikipia Plateau in the northern territory is primeval landscape near the great Rift Valley. Walking with Samburu Maasai guides and horseback riding with plains animals make this a compelling destination. The Mara is Kenya’s most irreplaceable wildlife sanctuary, and hosts the last great animal migration on the planet. Masai Mara’s exceptional big game viewing includes lion prides up to 20 strong. Private wildlife conservancies sharing this ecosystem aim to protect the land and encourage wildlife conservation. The valley offers some of the finest bird watching in the world. The lake’s shoreline is spread among three countries – Kenya, Uganda and Tanzania. This may be one of Kenya’s last remaining wilderness areas and a stronghold of traditional Maasai culture. Acclaimed safari camps and lodges are part of successful conservation efforts that provide classic safari adventures. Northern Rangelands Trust is a group of community conservancies in northern Kenya established to benefit the land, wildlife and local communities. The finest safari experiences today are to be found in Kenya’s private nature conservancies. They also pose positive solutions for long-term survival of the landscapes, the wildlife and the cultures of East Africa.